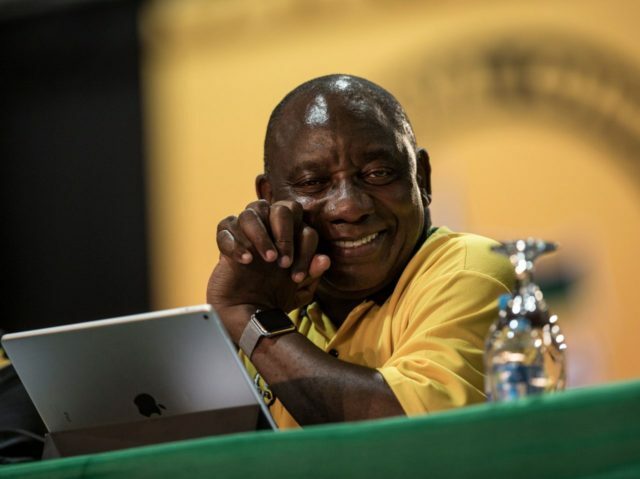 Ramaphosa, 65, is a union organizer-turned-businessman who played an important role during the anti-apartheid struggle. In 1994, Ramaphosa’s political fortunes were dashed as Thabo Mbeki, a favorite of ANC “exiles” who had left the country during the apartheid era, defeated him for the post of deputy president of the party (and, later the country). Many of those who had fought against apartheid from within the country were disappointed by his loss. But Ramaphosa turned political defeat into business opportunity, as he became the archetypal “Black Economic Empowerment” entrepreneur, pitching himself as the vanguard of a new black business elite that demanded to be included as owners, investors, and managers in South Africa’s major industrial firms. His political connections to the ruling party were also attractive to the formerly all-white business cartels. Critics said that Ramaphosa and the new black business elite had substituted crony capitalism for real entrepreneurship. Ramaphosa remained a dream candidate for the South African left. But he faced a reckoning in the Marikana mine strike in 2012, when dozens of workers were killed during a strike at a platinum mine owned by Lonmin, one of the companies in which Ramaphosa was involved. Ramaphosa played a key role in ordering police to put down the strike. However, Ramaphosa’s image soon recovered, and he became Deputy President under Jacob Zuma in 2014. In the years since then, South Africans have become increasingly concerned about corruption surrounding Zuma, particularly involving the Gupta family, a group of Indian-South African businessmen who have used financial leverage over Zuma and other ANC leaders to steer government decisions and Cabinet appointments to suit their personal financial interests. Defying public outrage at this “state capture,” Zuma chose his ex-wife, former Cabinet minister Nkosazana Dlamini-Zuma, as his successor when his two terms in office would expire. Ramaphosa became the preferred candidate of reformers within the ANC — as well as the international investor community, including donors to local civil society organizations, such as left-wing billionaire financier George Soros. He won after a close contest, in which many delegates were denied credentials, and in which rivals from various factions had been assassinated in the months leading up to the conference. South Africans from all parties watched the contest closely, and many breathed a sign of relief when Ramaphosa emerged the winner. His election was all the more remarkable because he is a Venda, one of the smallest ethnic groups, rather than a Zulu or a Xhosa. Ramaphosa will likely assume the presidency of the country, either because the ANC could force Zuma to resign early — as it did with President Thabo Mbeki in 2008 — or because his party will likely be re-elected to power in the 2019 general elections. He will, however, have to contend with a party that remains fractured. The new deputy president of the ANC, David Mabuza, is from the Zuma faction, and may try to keep Ramaphosa in check. The results of the ANC’s election offer South Africans a chance to start over — to shed the corruption of the Zuma era, and to return to the forward-looking path along which many hoped Ramaphosa might lead the country until he was sidelined in the 1990s. However, the country’s economic challenges remain deep, and Ramaphosa’s ability to deliver reforms will be limited. South Africa may have avoided a steeper decline, but has not yet turned the corner.